The chronic allegorizer is in much the same position; he can make a passage mean almost anything he wants. But for the serious Bible student that sort of approach won’t work. A “faith” that supposes God may have spoken but that we can’t have the slightest clue what he said is no faith at all. Thus, even if we cannot be 100% certain of the meaning of any given word, we at least want to take our very best shot at it. Now, thankfully, there are times when a word study of Greek or Hebrew can be tremendously useful. The other day I worked my way through seven Greek words used in a single verse in Hebrews and felt every one of them yielded information that was worthwhile and increased my confidence in my understanding of the verse in question. But each of those seven Greek words occurs repeatedly in the New Testament, some 200 times or more. In such cases, the study of their other uses — especially by the same author — and the context in which they are used inevitably increases our comprehension of the text in some meaningful way. Other times a specific word is used only once in the word of God, so we have nothing to compare it to. Or perhaps its meaning is disputed. Either event leads the modern reader to a bit of a dead end. Approaching the passage, I supposed there might be deep spiritual significance in Job’s name choices, and perhaps there is. But I can say with a fair bit of confidence that it isn’t one we are in a position to dig out and explore. 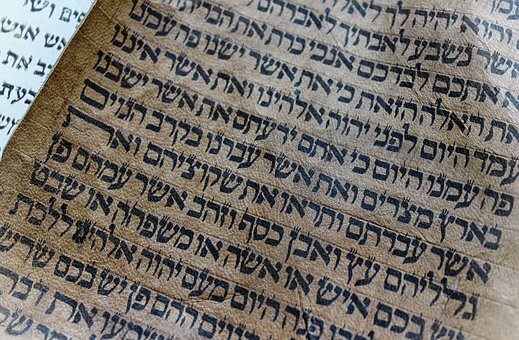 Each of the three names in Hebrew has disappointingly few points of comparison in the rest of the Old Testament (one, four and zero, respectively). Further, even if we have nailed the precise meaning of the name, nobody can possibly know precisely what was in Job’s mind when he selected them. We’re simply speculating. Was he sad? Reflective? Grateful? Joyful? What lessons had he learned from his experience with God, and are his choices related to that in some way? 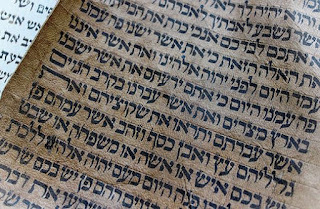 I suspect so, but it’s all conjecture, since the book’s writer simply doesn’t come out and say, and we’re just not sufficiently familiar with the Hebrew in which the book was written to put ourselves in the original audience’s shoes. Mike Bagwell, on the other hand, sees references to Father, Son and Holy Spirit in the names of the three girls. He goes on at considerable length, but it seems to me he gets to his conclusions more through free association and wild speculation than scholarship or spiritual insight. I regretfully conclude some meanings are just lost. The meanings of Job’s daughters’ names were not lost to the original Hebrew readers of the book of Job, for whom these words were not in the least obscure. The Spirit of God was making a point there for someone — and perhaps generations of someones — even if today we can’t see that point quite so clearly anymore. And if it’s in any way important to us, he has undoubtedly made the same concept explicit elsewhere in his word. There are plenty of passages in the Old Testament whose full meanings were obscure to the original audience, not to mention the writer himself, but are perfectly clear to us now that Christ has come and he and his apostles and others have explained them to us. All scripture is profitable, but that doesn’t mean it’s profitable to different audiences at different times in precisely the same way. Over Thanksgiving, one of my brothers expressed qualified enthusiasm for a book written by Rick Warren. Now, I have no personal reason to strongly like or dislike Rick Warren. I don’t know enough about him to have a solid opinion. Everything I’ve read about him is second-hand. And like any other well-known evangelical figure, Warren has accumulated a long line of detractors and critics. He’s said to be a good friend of Masons and reputed to hang with New Agers. He uses marketing studies to write his books. He runs a church like a business. He has been called a heretic, though that word is awfully overused. These criticisms may or may not be on the nose; I haven’t cared enough to look. I also have no objection in principle to criticism of Warren’s practices. I like legitimate criticism, and in Warren’s case it may be well deserved. Anyway, Warren has written a series of books designed primarily to reach people with little or no understanding of the Bible or God in which he tries, perhaps imperfectly, to put timeless truths into modern language. That’s not an easy task, but it’s an absolutely necessary one — critical, even. Not enough of us are doing it. Many primers for new believers or books directed at the unsaved slip inadvertently into language incomprehensible to their intended audience. Even simple words like “saved” require explanation for those with no church background. The response of many Christians to Warren’s work is unrestrained enthusiasm. Others reject using his material because bad things have been written about him, some of which may even be true. Back to our verse. So the disciples come across a guy doing something that seems to be pretty effective in the spiritual realm, in this case casting out demons. What does it mean to do that sort of “mighty work” today? Well, I’d suggest clearly presenting the gospel to those who wouldn’t otherwise understand it might qualify. It ain’t miraculous, but it’s significant, and not to be unreasonably diminished by those who aren’t out there doing it themselves. Hey, I’m not throwing out my copy of Mere Christianity just because C.S. Lewis once married a divorced woman. Not happening. That’s just how I roll. So, taken purely on its own, can we use Rick Warren’s curriculum “in my name”? My thought: Toss the books you can’t, or the sections you can’t, and use whatever you can use in good conscience. Alternatively, write your own and do it better. But do something. My job as a Christian is not to stop Rick Warren because he’s doing his job imperfectly. The perfect is the enemy of the good. Also, you won’t find it in this life.